Stop Diawing Around – The NBA Finals Preview You Didn’t Know You Needed | My Three Senths: Sports. Business. Life. Basketball fans, this one is for you. It’s Thursday morning, but more importantly it’s NBA Finals time, and we’ve gotten the rematch we deserve. It’s the new year, same as the old year. 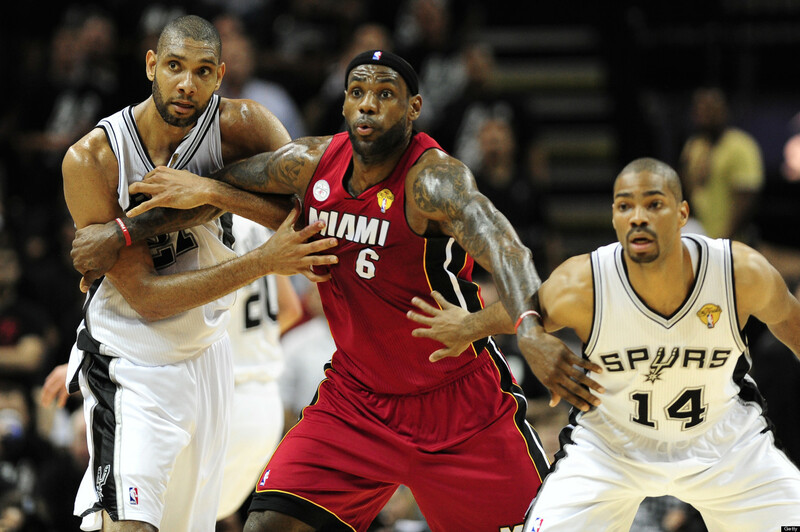 The Miami Heat and San Antonio Spurs. The NBA’s great villains and the NBA’s great heroes. Sometimes we need to stop overthinking things every year and saying things like “Oh but the Clippers could be a trendy finals pick,” or “Hmm…wonder if it may just be the Pacers’ year.” This was always how it was going to be, what it was meant to be. Sometimes, it is really as simple as the two best teams will make the finals. And the Spurs and Heat were definitively the two best teams this year. Don’t worry. We’ll hold these predictions accountable at the end. Sports Illustrated: Ben Golliver picks the Spurs in 6, citing their home court advantage and better depth than Miami. This is a popular reasoning among the Spurs backers. The Spurs will exact revenge, going all storybook on us. Rotoworld: Steve Alexander breaks it down, position-by-position style and picks the Heat in 7, reasoning with what seems to be best described as “gut feeling,” despite praising San Antonio most of the way. CBSsports: James Herbert goes with Heat in 7, saying that the Spurs’ depth won’t matter as much if James and Wade are playing well in extended minutes anyway. The Heat are used to playing a short rotation by now. Zach Harper picks Heat in 6, with LeBron James as the reason (the popular reason among Heat supporters). When you use a player as the basis of your pick, as long as he’s the best player in the world, it’s not at all bad reasoning. NBA.com: NBA.com ran a roundtable of their writers for this so I’m just going to summarize here. Steve Aschburner goes Heat in 6, Fran Blinebury goes Spurs in 6, Jeff Caplan goes Spurs in 5 (sidebar: what a ballsy pick), Scott Howard-Cooper claims Spurs in 7, John Schumann calls Spurs in 6, Sekou Smith says Heat in 6, Lang Whitaker predicts Spurs in 7, Marc-Oliver Robbers goes with Spurs in 6, Stefanos Triantafyllos’ mind tells him Spurs in 7, Rubens Borges goes Spurs in 7, and finally, Akshay Manwani predicts Spurs in 6. Whew. 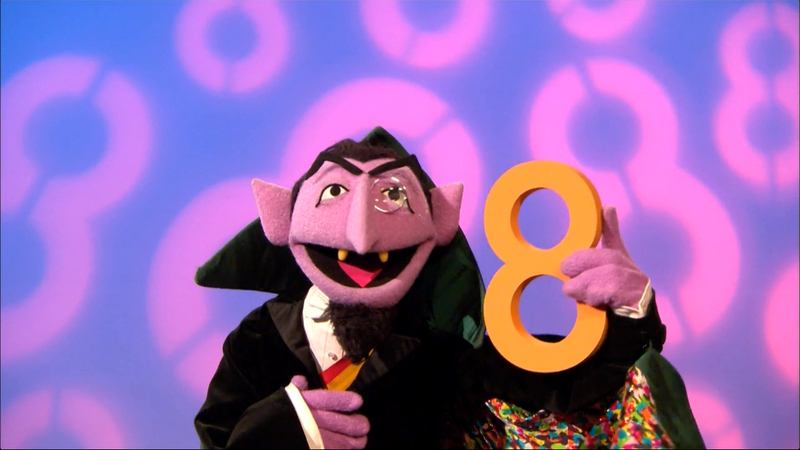 That makes 9 for the Spurs, 2 against. Yahoo! Ball Don’t Lie: One of the most entertaining previews I’ve read. Kelly Dwyer picks the Heat in 7, because, y’know, LeBron. Dan Devine goes with the Spurs in 6, stating that Miami’s defense has not shown to be good enough to stop the Spurs 4 times in 7 games. Eric Freeman call Spurs in 6 as well, for, well, I’m not exactly sure what reason. Grantland: And, as expected, this is the best preview I’ve read. Zach Lowe hedges his preview with the caveat of Tony Parker being healthy, and it’s a needed caveat. Closing with the statement that the Spurs are too good for Miami to only summon their best effort when necessary, and that the Spurs are even better this year than last, when they just barely missed out on the Larry O’ Brien Trophy, Lowe goes with Spurs in 7. So what were all those links saying anyway? -Totally there are 13 writers picking Spurs and 6 picking the Heat. A lot of this is due to the massive disparity at the NBA.com roundtable. Without those guys, it’s actually even at 4 picks apiece between Miami and San Antonio. -Props to Jeff Caplan for maybe the ballsiest pick of the previews. Seriously, a 5 game series?! He says that top to bottom, Spurs are the better team, and that the Spurs execute with more precision and have better depth. It’s the same reasoning as many other people, but just a different level of belief. -Both SI and CBSsports talked about so-called “X-Factors.” Golliver called Ginobili his x-factor and the guys at CBS went with Rashard Lewis and Boris Diaw (+10). It’s interesting that all three of these guys are being noted for the added offensive impact they will bring. Are defensive x-factors not a thing anymore? Bruce Bowen says SMH. 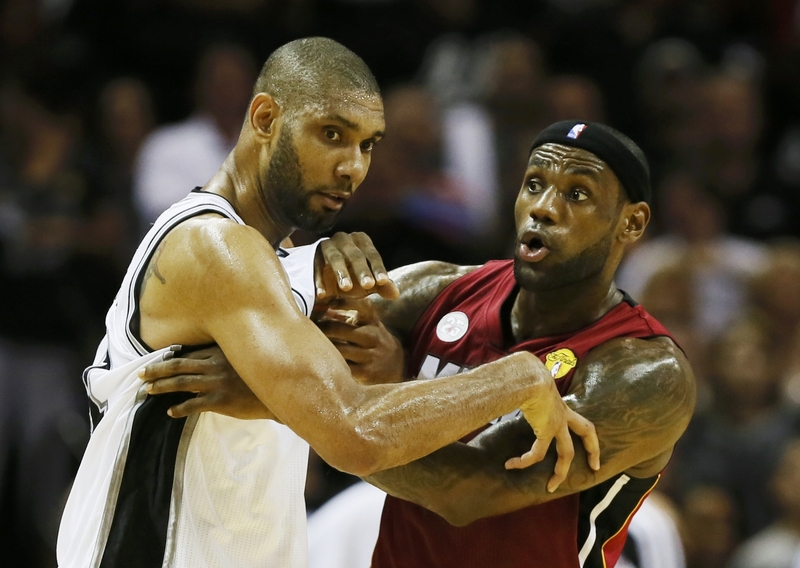 -The writers seem to be split on what to make of Miami and San Antonio’s respective roads to the playoffs. Does Miami’s easy road to the Finals mean that they will be better rested, or will the lack of competition in the East hurt them? Are the Spurs better equipped for the Finals because they are presumably more “battle-tested” or are they going to be more tired, having played a grueling schedule? -Based on Dallas, OKC, and last year’s Finals, the economic impact could be $3-4 million per game (ksat.com). That’s generally not a very useful number in and of itself, but serves as an intriguing comparison point. Consider that the net economic impact of the Super Bowl is approximately $120 million (Houston Chronicle) and St. Louis was expected to see around $7.9 million per game that they hosted last year in the baseball World Series (Forbes). The NFL easily sets itself apart as America’s biggest cash cow sport, but more surprisingly, the economic impact of the World Series is larger than that of the NBA Finals. This could be partly due to baseball’s status as the quintessential American pastime sport, and the tradition that comes with it. NBA Finals ratings are starting to overtake plunging World Series TV ratings. 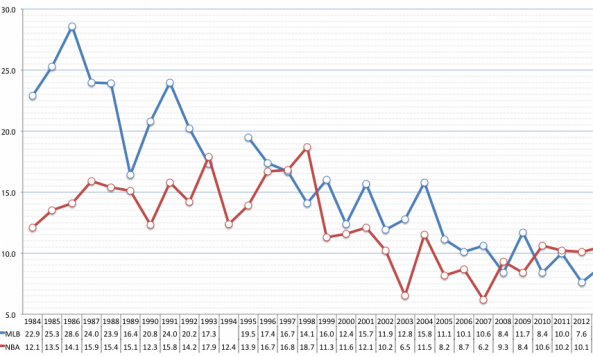 -As you can see from the graph from Awful Announcing, recently, the NBA’s Finals ratings (red line) have started to overtake the MLB’s TV ratings (blue line) as baseball languishes at a viewership low point in its history. The NBA saw an expected Post-Jordan dip, but is steadily trending in the right direction again. In 2012, the Finals had an average Nielsen Rating of just over 10.0 whereas the World Series were somewhere between 8.0 and 9.0. It’s not even worth bringing the NFL into this exercise because, when each consecutive Super Bowl tries to set a record for most watched TV-event ever, you don’t need to say anything else. Super Bowl XLVIII last year attracted 111.5 million viewers last year (!). -Between Dwayne Wade, Chris Bosh, and LeBron James, there are 27 All-Star Game appearances taking the court for the Heat. Between Tim Duncan, Tony Parker, and Manu Ginobili, there are 20 All-Star appearances taking the court for San Antonio. There’s Pop’s system again, depressing the individual performances for the good of the team. Like anyone in San Antonio cares though right? -The Big 3 for Miami made $56,671,100 this season, or approximately 70% of their total payroll. The Big 3 for the Spurs made $29,861,446 this season, or approximately 47% of their total payroll. Not to mention, San Antonio’s payroll is close to $17 million less than Miami’s. A true testament to the Spurs’ team building ability. The title of most reckless Manu took. The ball his test subject to the opponent’s detriment. But the Spurs ride his torrential stream. Because Manu likely drives 120 mph even when not on the Autobahn. But first please leave us with one more ridiculous cross-court pass. 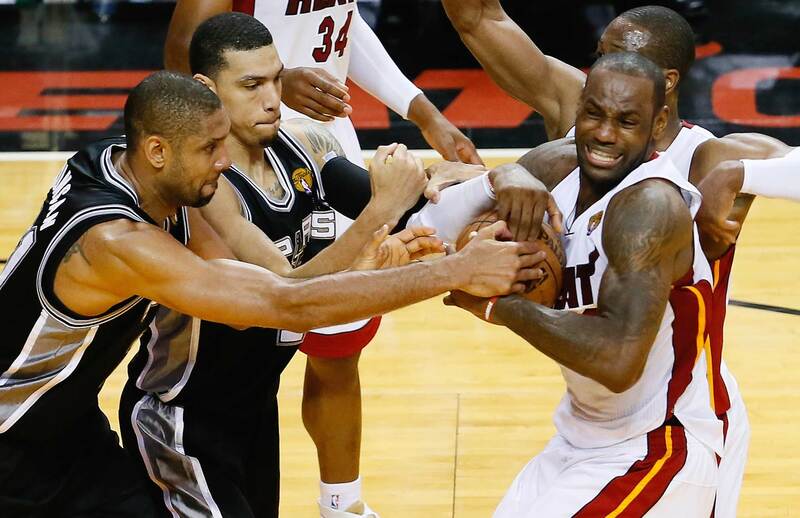 From the Miami side, LeBron is the greatest piece of basketball duct-tape right now. He can cover up a lot of flaws, and do so in convincing fashion. Miami plays an exhausting, aggressive brand of defense, and the more San Antonio makes the Heat players continue banging and chasing, the more it could show later in the series. Miami has to be disciplined and stay home on shooters. They don’t quite have a paint protector like Serge Ibaka, and their point guards aren’t close to being on a healthy Tony Parker’s level. Boris Diaw is an intriguing piece because he’s basically a chubby Swiss Army knife. Still, Miami is overall the more athletic team, and need to exploit that by getting out in transition and scoring on the break as often as possible. Athleticism can beat the Spurs. The Thunder had showed that repeatedly prior to bowing out in the playoffs. Both teams can play at a fast pace, but San Antonio through the precision of their execution and Miami through their athleticism. The Spurs have to get their shooters going early. Don’t let Miami sag into the paint area, where they can defend with numbers against a Parker or Manu drive or Duncan post-up. 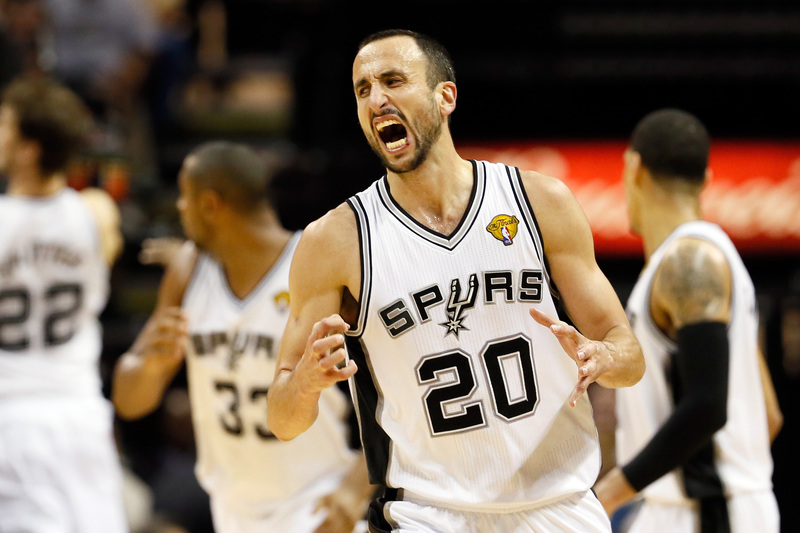 Belinelli has been off, but the Spurs need all their shooters firing. Marco, Patty Mills, Danny Green, et. al. My call? Spurs in 6. Why? Because Kawhi Leonard. The young small forward, is one of the best young wings in the association, and can crush it on the defensive end. 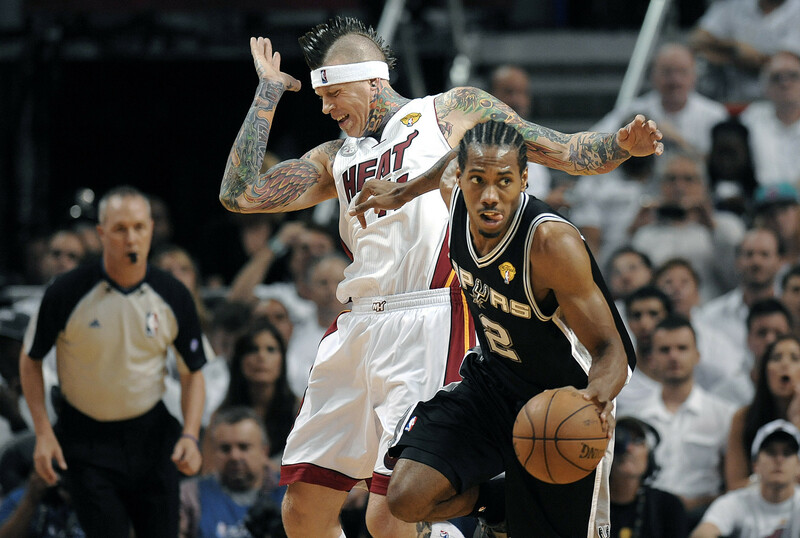 Fondly nicknamed “Sugar K,” Leonard has used this playoffs as his personal playground. He won’t stop LeBron, but he is one of the handful of players who can slow LeBron. He brings an improved offensive game this year as well. Time for Popovich to be ranked alongside Red Auerbach and Phil Jackson in the annals of NBA coaching history. ← Time is linear. What happens last sticks out most. You pretty much nailed it in that last paragraph, esp since KL made MVP! Way to call it, Senthil. You missed calling it perfectly by one game, but that’s still better than the other experts!